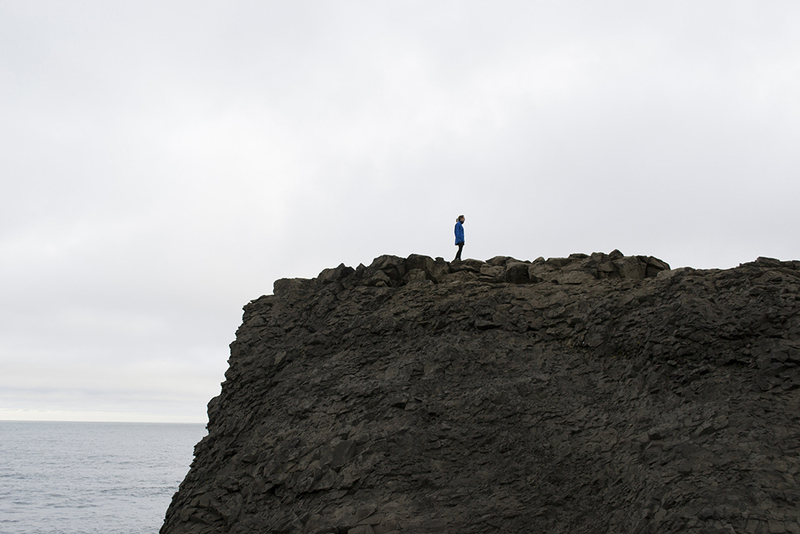 In August of 2014, Light Grey Art Lab took a diverse group of creatives to one of the world's most majestic locations: Iceland's southern coast-- to adventure together, create alongside one another, and to push the boundaries of creative conversation amongst the hauntingly beautiful landscape. 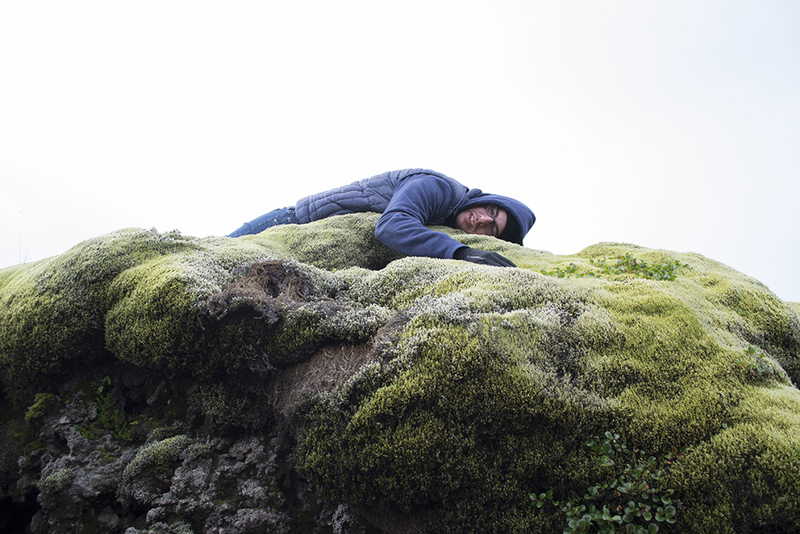 As part of Light Grey Art Lab's mission to bring people together in experiential creative endeavors, the Iceland Residency Program provided a platform for unbridled creative and natural exploration along the southern Icelandic coast. We visited ancient cultural sites, climbed amongst misty waterfalls and encountered creaking, ancient glaciers. Our team consisted of individuals with varied backgrounds in visual development, editorial illustration, product design, gallery work, fine art, photography and media. We traveled from different corners of the United States, Germany, and Italy to meet in Iceland for the first time together where we embraced spontaneous creative conversations, learned from each other's practices and creative theories, and allowed the spirit of adventure to guide us. Click here and here learn more about our two teams of 2015 artists in residence, or click here to see an overview of the residency program and details about our next application process. Artwork by Teagan White, Sam Bosma, Manuel Kilger, Maike Plenzke, Lindsay Nohl, Kali Ciesemier, Gloria Pizzilli, Colin Foran, Claire Hummel, Chris Hajny, Jenny Bookler, B. Paul Patterson, Meg Hunt, and Mike Freeman. Teagan White is a freelance illustrator specializing in intricate drawings of floral and fauna, playful watercolors of animal characters, and illustrated typography. Her clients have included Target, Papyrus, American Greetings, Random House, Penguin Books, Nike, Wired Magazine, and the Washington Post, with projects ranging from advertising and editorial to children's books, greeting cards, and textiles. 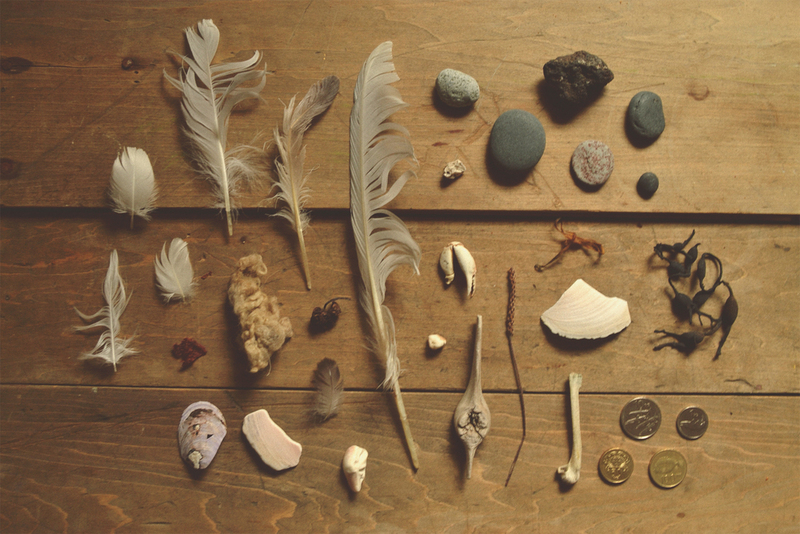 She lives in Minneapolis, where she spends her tiny amounts of free time following tangled animal paths through forest and field, squishing along reedy riverbanks, attempting to befriend gulls on rocky lakeshores, picking wildflowers, and collecting animal bones. "For me, the most striking thing about Iceland was the subtle, ethereal moodiness that seemed to hang over the whole island. . .I continued to pick up on a vague feeling of being perpetually haunted by something vast and unknowable. 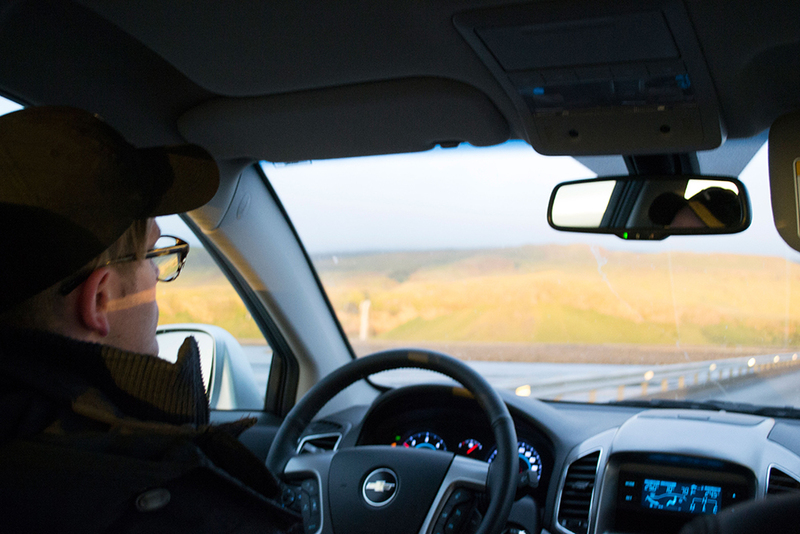 Possibly, reading in a guidebook as we drove from one destination to the next about the not-long-past eruptions that had formed the landscapes we were driving over, contributed to my fascination with the melancholy of Iceland. But fortunately no ghosts dared to mess with our group of 14 travelers, and I returned safely home to incorporate these ominous visuals and suspected phantoms into poems, ideas for drawings and paintings, and idle memories." Sam Bosma is a freelance illustrator and comic artist specializing in fantasy art and adventure stories. His illustration work has won awards from the Society of Illustrators and Spectrum Fantastic Art, and his short comic "FANTASY BASKETBALL!" won the 2014 Ignatz Award for Outstanding Artist. Sam is also a background artist for Cartoon Network's "Steven Universe." 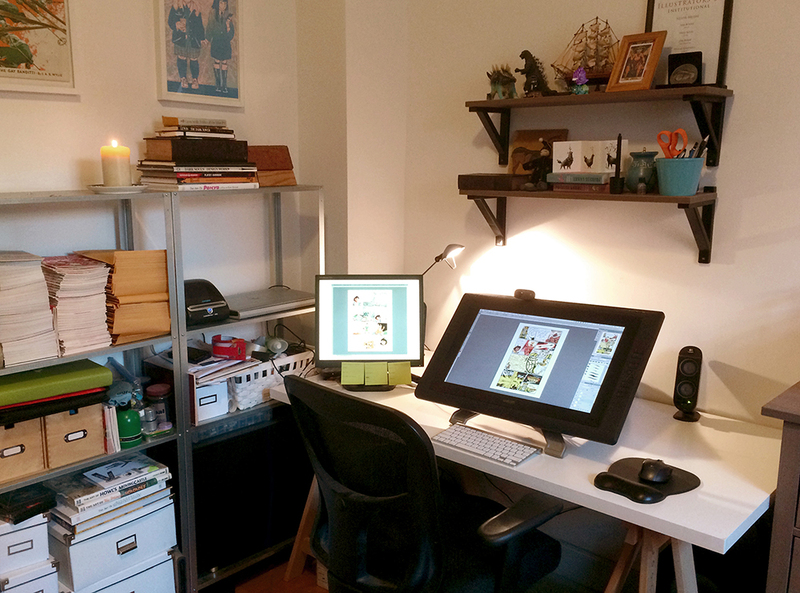 Sam Bosma currently lives and works in Brooklyn. 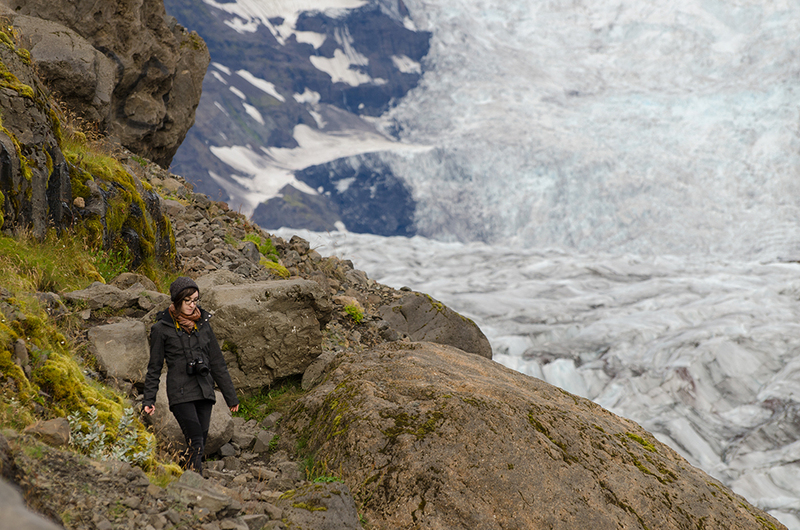 "The Iceland Residency was an unbelievable experience for me, and it came at the perfect time. Amid a sea of deadlines, awash with the New York summer and the omnipresent street construction, spending a week in the most beautiful place on earth was rejuvenate and invaluable. One of the most memorable things for me was climbing down into Þingvellier and walking its length. We had visited Geyser shortly before, where Kali and I got engaged, and we waded through the tall grass of the nearly silent ravine. It was completely surreal. The landscapes of Iceland are so vast and ancient that they can't help but spur your imagination. This is apparently universal, as Hollywood has used Iceland as a backdrop in countless fantasy and sci-fi films. Most often, however, the land is used to embody something barren and unknowable: the primordial earth or the lonesome wastes of a far off planet that the heroes must escape. This series seeks to build a fantasy of those who stayed, and the mythologies built by the people who made homes from the inhospitable." Manuel Kilger is an illustrator originally from Bavaria. He studied communication design and Illustration in Nuremberg , Germany, and that is where he currently resides and works on freelance projects. Manuel has worked on numerous projects and for clients like magazines, advertising agencies, networkstations, games companies, galleries, and of course many more. Some of his clients include BOOM! Studios, Büchergilde Gutenberg, Cartoon Network, Clone Magazin, Dark Horse Comics, Electronic Arts, Freistil, Heimat Hamburg, Hero Complex Gallery, Jazam!, Light Grey Art Lab, Moccu, MTV Germany, Newgrounds, Nickelodeon, Studio Ü, Temp Magazin, Vierbeuter, WHO Magazine, ZDF (German Networkstation) and others. Manuel also participates in various national and international gallery shows. 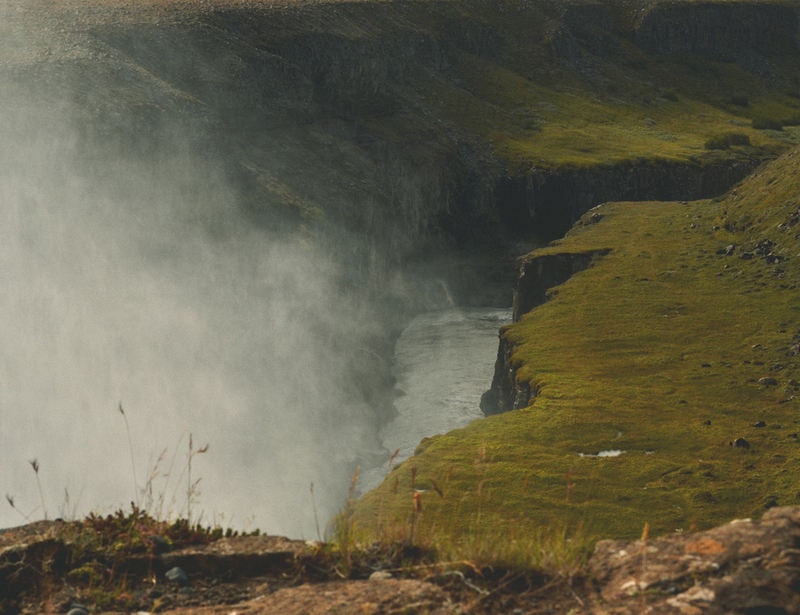 "Iceland is really one of the most spectacular places I have ever been. Everthing is so inspiring: the rough but very beautiful landscapes, the unbelievable dimensions, the air, the diversitiy of strucutres, stones, mountains, glaciers...The landscapes and forms changes with every kilometer you drive and you want to stop at least every three minutes to draw or take pictures.My favorite place was the tall canyon we walked through. It was like in a adventure movie, lonely, rough and idyllic. I could have spent hours there, if I had the time." Born in Berlin, Germany, Maike Plenzke decided to move to Hambug to study illustration in 2009. 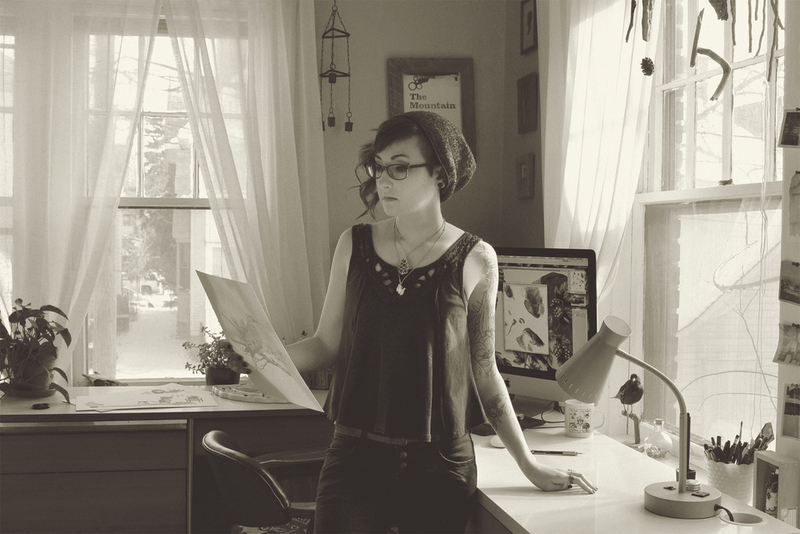 She graduated in 2013 and immediately started illustrating for magazines and television. After drawing a series of comics, little zines, and receiving the ICOM (German Independent Comic Award) for Best Artwork, she decided to pursue her first long comic project 'Bran' with collaborator, Flora Grimaldi. 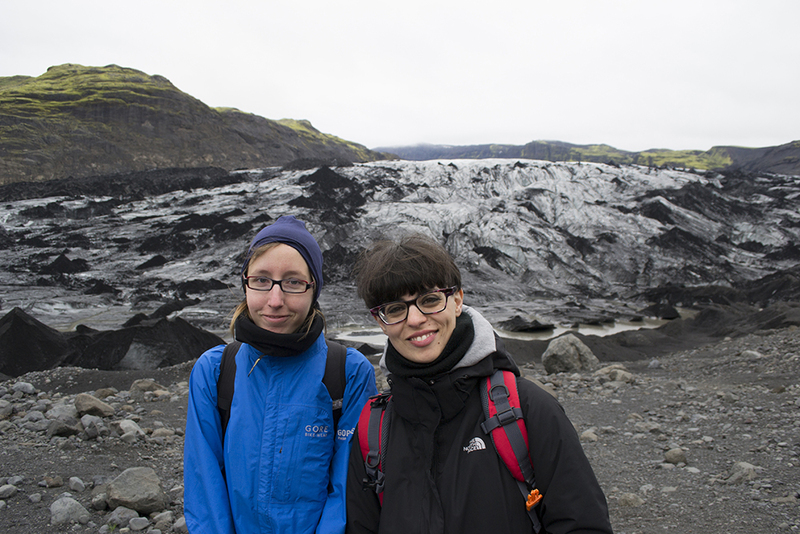 "Besides the mind blowing landscapes all around us (my favorite landscape was the beach at Vik i Myrdal), I loved getting to know all of these like-minded people and having discussions about our work one one another. I was so motivated and inspired- it was an incredible experience." Lindsay Nohl is the founder and creative director of Light Grey Art Lab. Her contributions come as big ideas for exhibitions, graphic design for the published works and a facilitator of many of the workshops and lecture series. She is also the owner and creative director of Paper Bicycle llc., a product and surface design studio for large scale product design initiatives. Her work has been featured at Target, Starbucks & Tazo Tea, Williams Sonoma, Sephora, HGTV, among other great retailers. Lindsay is in her 11th year of teaching illustration and product design at the Minneapolis College of Art and Design and her theories on design were recently recognized in the book "Design School Wisdom" by Brooke Johnson and Jennifer Tolo Pierce, published by Chronicle Books. 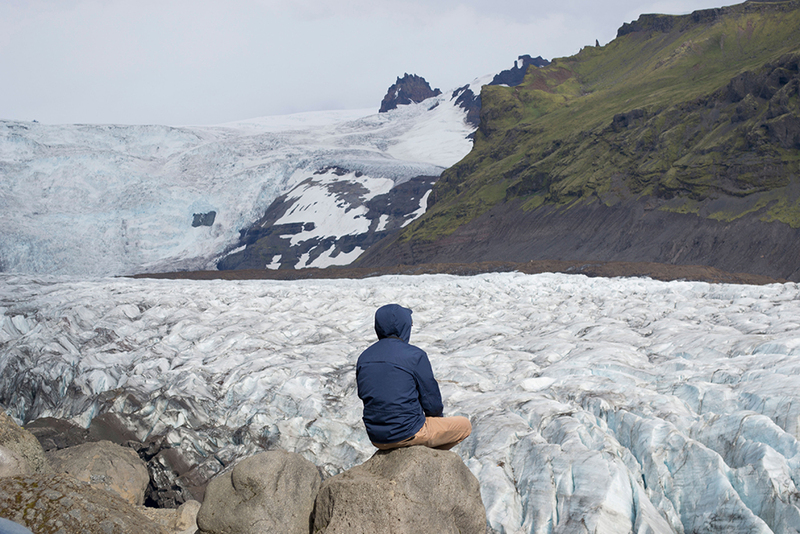 "Every time I visit Iceland I go through a major creative cleanse. There's such a magical quality to the open-ness... the mist, the filtered light, the muted colors of the landscape and the way it feels like you're the only one that has ever been there. I feel deeply honored to have spent such a reflective, intimate time with the artists on the 2014 program sharing late-night chats, wandering, exploring, and laughing... The memories of our time together are very, very special to me. The residency was irreplaceable and unforgettable." Kali Ciesemier is a freelance illustrator and art educator currently living in Brooklyn, New York. Kali enjoys solving visual problems and translating them into precisely designed, colorful, kickass images. She has a range of work including projects in the editorial, publishing, and advertising fields, including clients like Amtrak, Cartoon Network, Google, Harper Collins, Scholastic, The New Yorker, and TIME Magazine. Kali also taught illustration for four years at the Maryland Institute College of Art, and will soon be teaching at the School of Visual Arts in New York starting in Spring 2015. 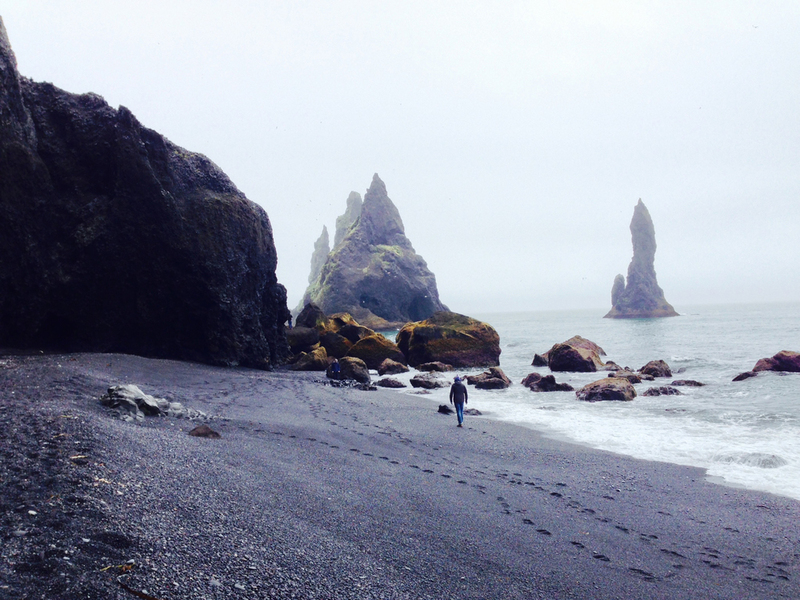 "My Iceland residency was a singular adventure! Sam surprised me with a marriage proposal on a quiet mountaintop overlooking a beautiful farming valley, and I'm STILL having a hard time deciding which particular experience was my favorite from the trip! Iceland is a land of infinite details, and although I was in awe at every landmark we visited (Skogafoss! The Glaciers! Vik Beach!) , the little things that happened along the way really stuck with me. 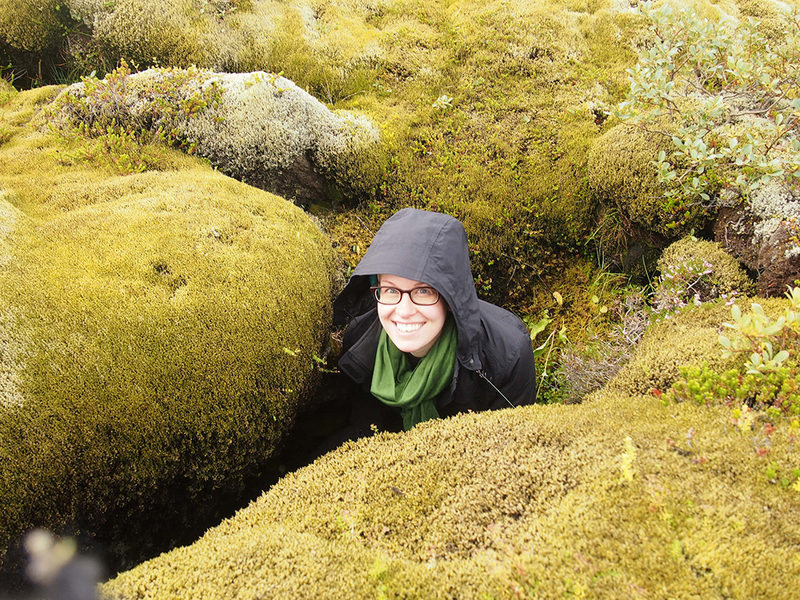 I loved the ultra-mossy volcanic landscape we investigated on the side of the road, bouncing around on moss clumps and nestling into hollows. The hidden gems we unearthed from unexpected places--a whale vertebrae found in a seaside meadow, an algae-filled hot spring only accessible by a mountain hike, an old power station nestled next to a river and waterfalls. . . plus, none of the experiences would be the same without the people who accompanied us on the trip. 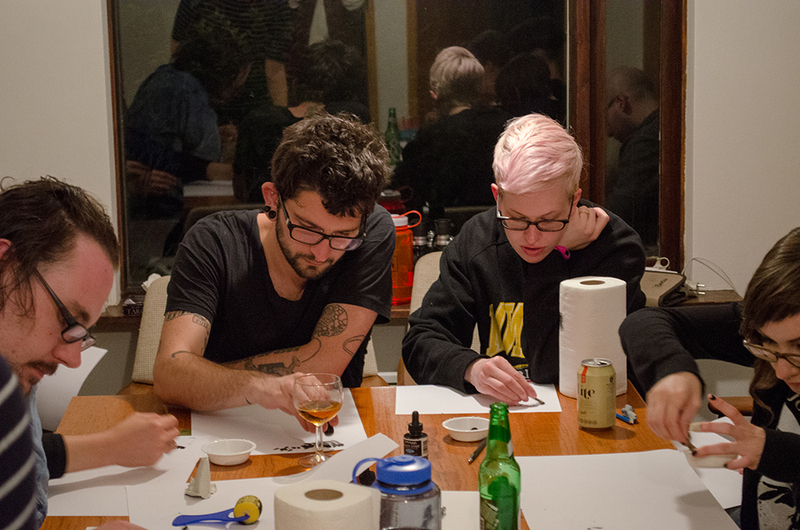 I loved the conversation we had about making time for personal work, and laughed so much that I cried during the Dungeons and Dragons game we played at the farmhouse! I came away from the trip feeling as though I had immersed myself in another world entirely, refreshed and inspired anew." Gloria Pizzilli is an Italian illustrator and graphic designer based in France. Gloria work includes furniture design, product design, fashion, and editorial and freelance illustration. Her work combines opaque colors, pure geometry, liquid gestures, and playful combinations. Her work has been featured in numerous publications and exhibitions, and some of her clients include The New Yorker, The New York Times, The Boston Globe, Wired Italia, GQ USA, La Stampa, Feltrinelli, Eli, Teatro alla Scala. "Iceland is an exceptional place. A newborn land, where the landscape is in continuous evolution. Colors are electric and fill our eyes, and the air is cold and clean. Rain and wind haven't had the time to mold the rocky terrain- every rock that comes out from the earth keeps intact the mark of the break and the way it was formed. All the strong movement coming from the core of the earth is clearly visible. This is what I've truly loved of Iceland. 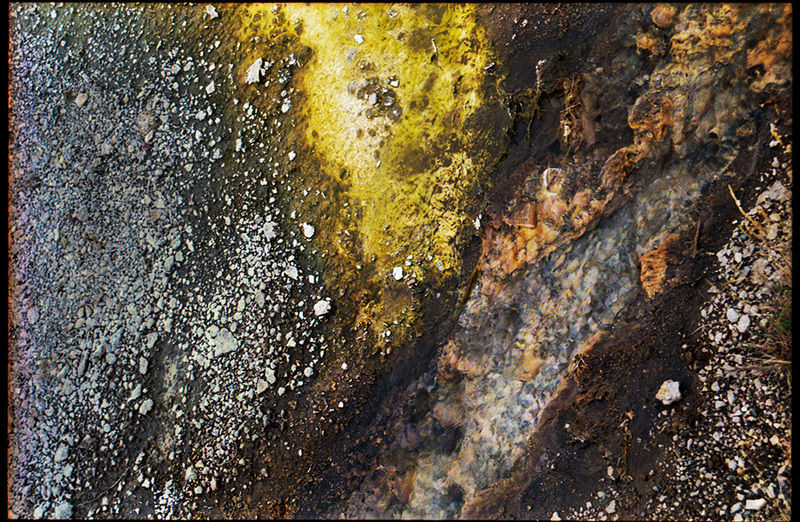 The ‘Natura’ series is a small series of four pieces inspired by the Icelandic natural shapes. For this project I abandoned my usual vector technique, for a more traditional and spontaneous approach: real paper, graphite and Indian ink." Colin Foran is a concept artists, video game developer, art director, and artist living and working in Seattle, Washington. Colin's work has been recognized around the world for his contributions to major gaming and concept art projects. He is currently working as a Production Designer at HBO, and his past positions include the Associate Art Director at Microsoft Studios, an artist at Microsoft Game Studios Publishing, as a concept artist at The Storey Hat, and as a digital artist at Anzovin Studio. "The Iceland photo series uses materials and photographs from the LGAL Iceland 2014 trip to create a fictional narrative detailing a motorcycle trip through the southwest region of the country. The project examines and experiments with the ideas of continual digital record keeping and how it can lead to an unintentional remixing of memories. Rather than help us recall past events, our constant recording of experiences can cause our memories to bleed and merge together, making our experiences vulnerable to misremembering and embellishment. These images attempt to create a fictional narrative out of a factual one. " 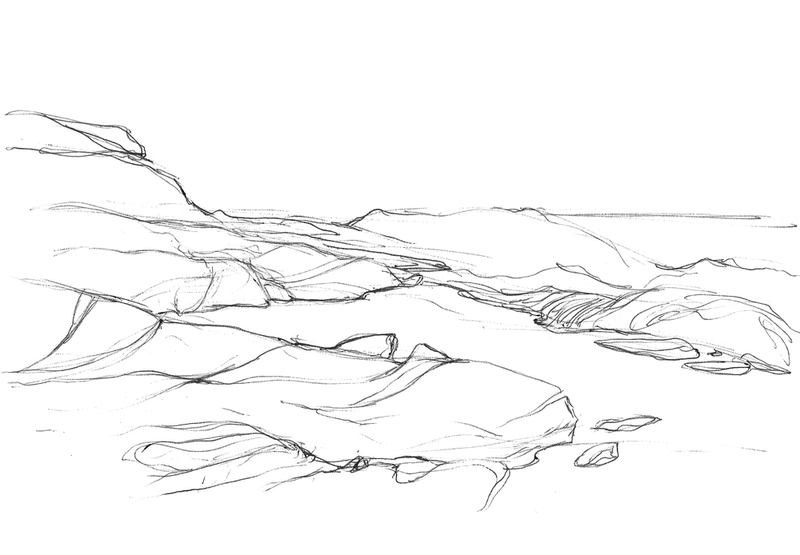 Claire Hummel is a concept artist and production designer originally from Los Angeles. 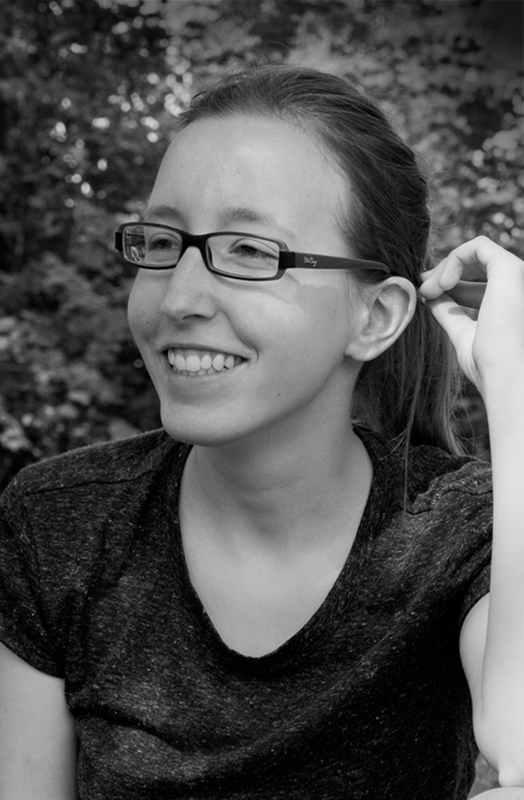 Claire now works as a productino designer at HBO Digital Productions. 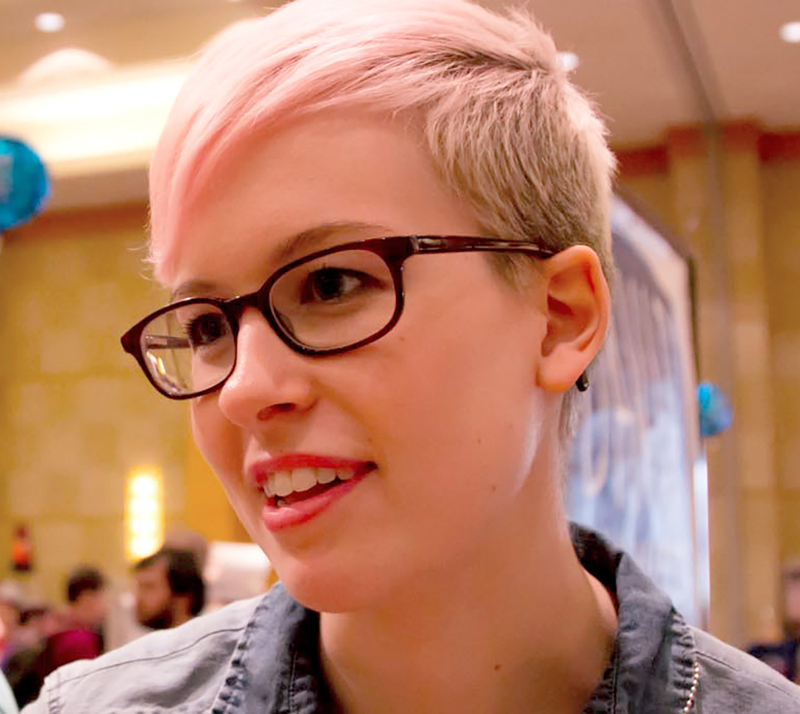 Claire has also worked at Microsoft Studios, Irrational Games, and Cyan, contributing to titles as Ryse: Son of Rome, Powerstar Golf, Fable Legends, Sunset Overdrive, Bioshock Infinite, Obduction, and others. "I love weird landscapes. I love inscrutable waterfalls, I love columnar basalt, I love incomprehensibly massive glacial tongues and unexpected volcanic activity. I love all of this stuff, and so it frustrates me to no end that it’s so rarely reflected in my own work. I spend most of my time (both professionally and personally) designing characters and costuming, so this show seemed as good a chance as any to step out of my comfort zone and focus on honing my landscape painting skills. Hard to go wrong with Iceland in the landscape department. 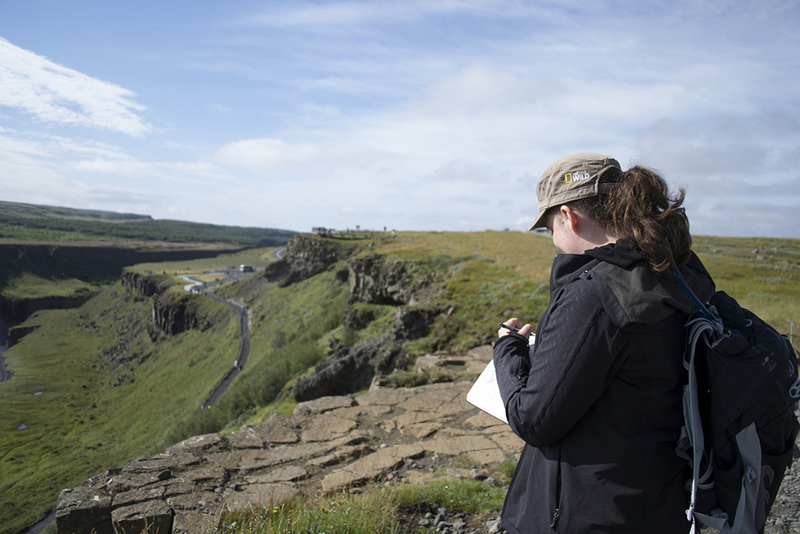 I included a few of the plein air studies I did while on-site in Iceland, but most of my time during the residency was spent just taking photos and trying to absorb the scenery. I ended up with ten finished paintings, and tried to focus on some of the imagery during the trip that really stuck with me – the acidic green mosses, the almost eternally overcast sky, the force of water, the semi-abandoned structures. I also included a couple photos from the trip, a tiny sliver of the several thousand currently residing on my hard drive. As much as I enjoyed the scenery, it’s not hard to admit that I enjoyed the people even more; this residency wouldn’t have been half as worthwhile if it weren’t for the amazing and talented people I got to spend it with." 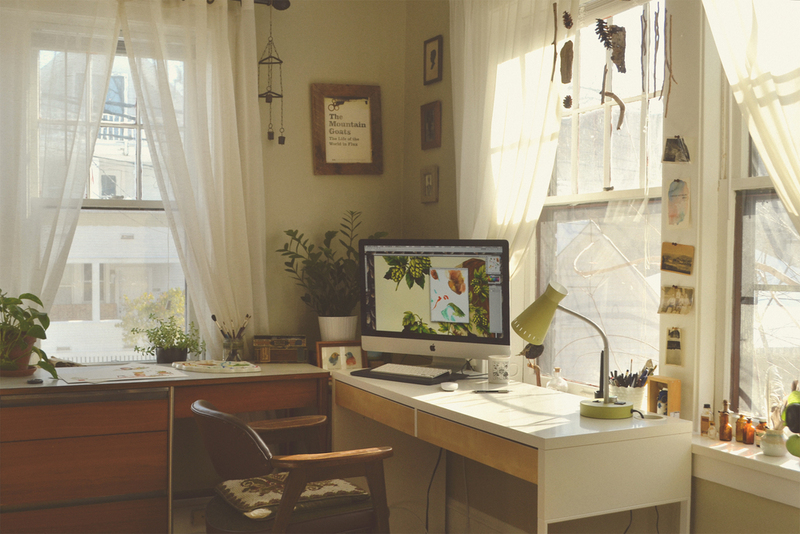 Chris Hajny is an illustrator, product designer, media producer, and photographer. He creates surface and product design for Paper Bicycle LLC, working for national and international clients. In addition to Paper Bicycle, he is also the media producer for Light Grey Art Lab, managing and editing all of the podcasts, lectures, workshops, and photographing products, artwork and events. 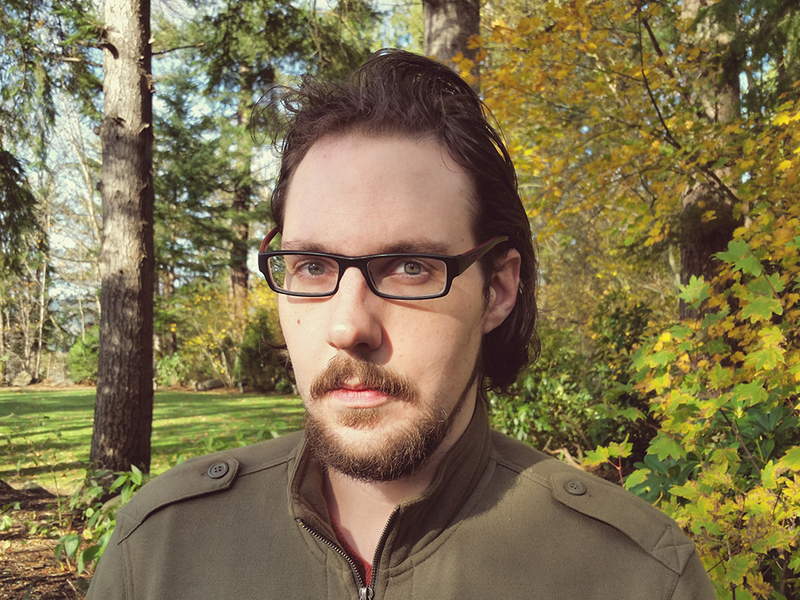 He is also the game developer for Rolemodels: The Battle for Vyk'Tornaahl and game designer for Dream Arcade. In addition to his professional work, Chris also enjoys drawings cats, weapons, bad guys, and photographing nature. Jenny Bookler is a fine artist, curator, and arts organizer living and woking in the Twin Cities. 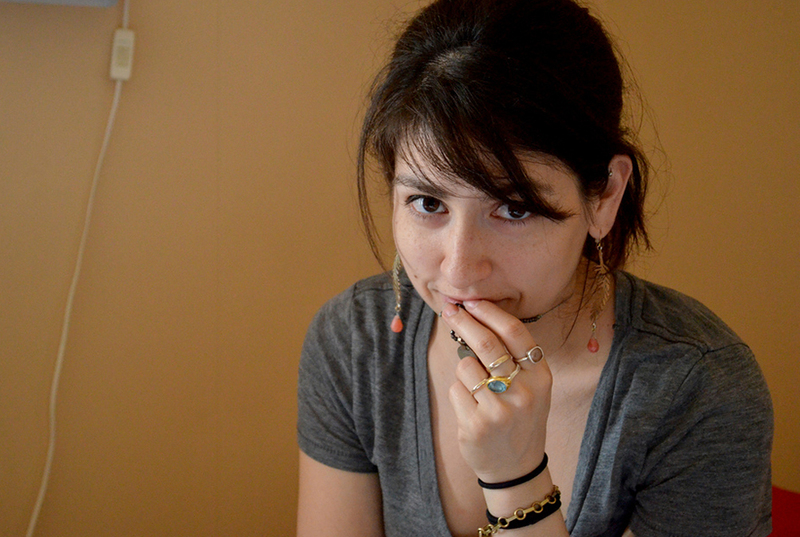 Since graduating from the Minneapolis College of Art and Design with a major in Drawing and Painting, Jenny has worked for a variety of arts organizations and projects including Art of This: One Nighter Series, Northern Spark, Leonardo's Basement, The Art Shanty Projects, and others. Jenny is currently the gallery manager at Light Grey Art Lab, where she works with a small team of artists to coordinate new monthly exhibitions, artist projects, workshops, lectures, and works with hundreds of illustrators, designers, and creatives from around the globe. In addition, Jenny maintains her own studio practice and exhibits drawings and large-scale installations. "Iceland has captured my heart. 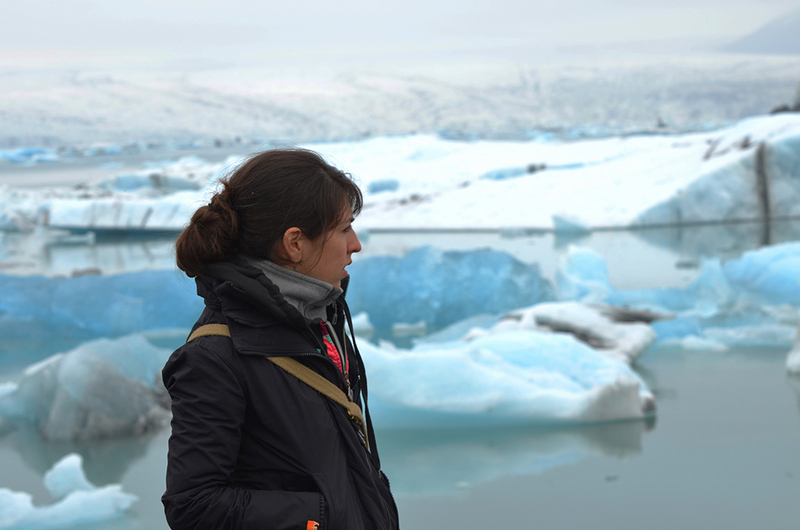 Throughout the residency I was able to experience landscapes, formations, microscopic lifeforms, and some of the most violent and epic phenomenons on earth. I was constantly aware of my senses, engaged in conversation with all of the artists, and inspired to create." Bryan Paul Patterson is a fine artist living in Washington, USA. He received his Bachelor of Fine Arts in Photography and Digital Imaging from Ringling College of Art and Design. His work, employing a mixture of traditional and digital techniques, explores the concept of liminality in man's relationship to nature and to subjective experience. 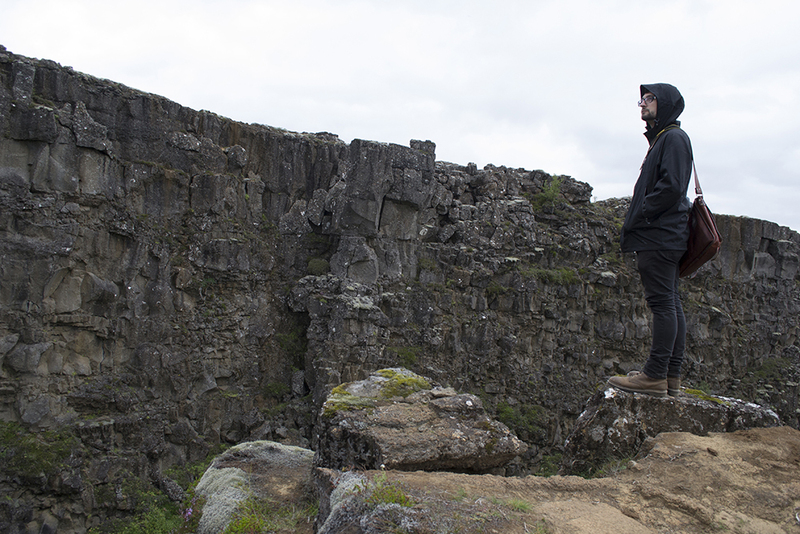 "Something that repeatedly struck me during the residency was the very unique natural presence that Iceland has. Even the very developed areas like Reykjavik metropolitan area had a quiet sort of harmony with the landscape . . I constantly felt as through I had been transported to a primordial Earth, where the processes which formed our planet were viscerally alive, constantly in a state of metamorphosis, and unsubdued by the sprawl of civilization. As so much of my work deals with the experience of being 'overtaken by nature'. My experience of the Iceland was a whirlwind of pastoral meadows skirting verdant highland cliffs; volcanic sand flats with roaming fog; moss-shrouded, conical hills formed from lava; and winding stretches of black sand framing basalt-columned caves or ash-dusted glaciers. The bulk of the images displayed in this show are untitled selections from the massive amount of 35mm film I shot on the trip. The mix of abstracted double exposures and more traditional single shots reflects the mythical, dreamlike feeling that the landscape of Iceland impressed upon me. With these pieces I try to conjure the Iceland I built in my memory; a strange wilderness which continues to linger in my imagination." Meg Hunt is an illustrator, printmaker, educator, and all-around maker of things. Ever since she was little, she's been fascinated by the wonders of the universe and adventures big and small. She has had the pleasure of working on projects for clients like Chronicle Books, Disney, Dreamworks, Cartoon Network, Scholastic, Storey Publishing, Oxford University Press, and Plansponsor. Originally from a little seaside city in Connecticut, Meg now lives and works in Portland, Oregon with her husband Mike and microscopic dog. 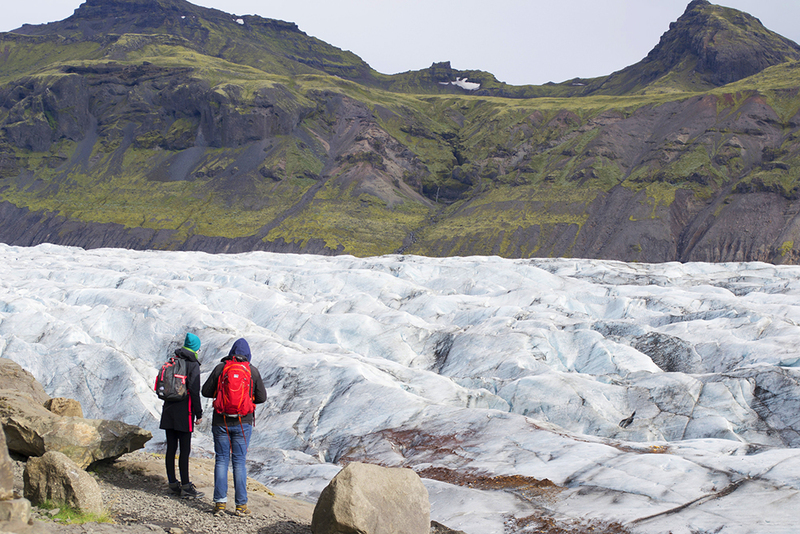 "My experience in Iceland is something even months after it I struggle to put into words. I can tell you about the innumerable cats in Reykjavik, the road trips we took to get to our farmhouse in the shadow of EyjafjallajökulI, and the giant whale vertebrae buried in a field far off the beaches of Vik; I can tell you about the little old man running the cafe in Sólheimajökull who wound up being a biologist and taught us about the changing face of the glacier. I can tell you that we hiked glaciers, dipped our feet into cold sulfuric waters and climbed 'til our whole bodies felt like a foreign entity. I tested the limits of what I thought my body could do and it never disappointed. 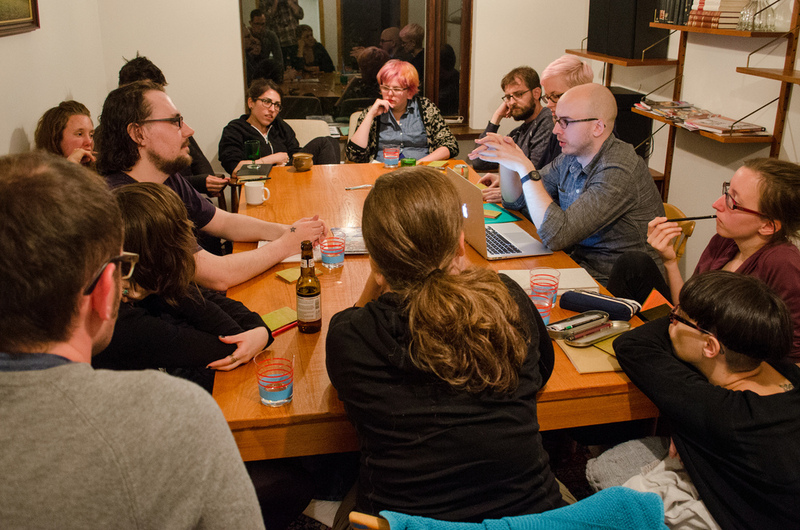 We collected bones, photographs, sketches, stories; then came home to join together in a meal and share our experiences and struggles (and even a dose of storytelling with a D&D session Mike put on!) But these are snippets. I really still don't know how to share about my experience just yet, but I do know my heart got broken by the alien beauty of the landscape and reshaped into something new with the feeling of exploration together. 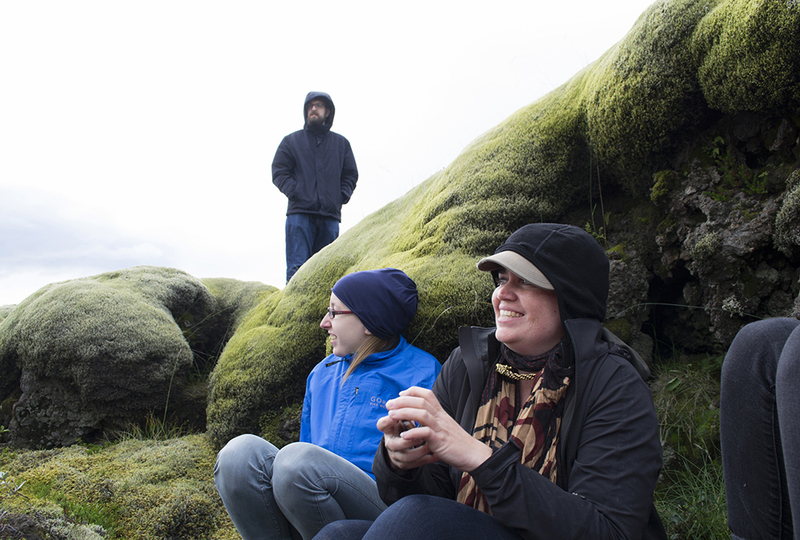 . . but overall, my favorite times spent in Iceland were in our little group, feeling like we were the only ones out there-- discovering moss-laden fields, ringed rocks, black sand, and all those other details. I want to continue the adventure. Iceland is gorgeous, don’t get me wrong. From its moss-covered volcanic plains to its sharp cliffs covered in green grass and fluffy white sheep – one could hardly glance out of a window without catching a glimpse of a view worthy of a painting or a poem. 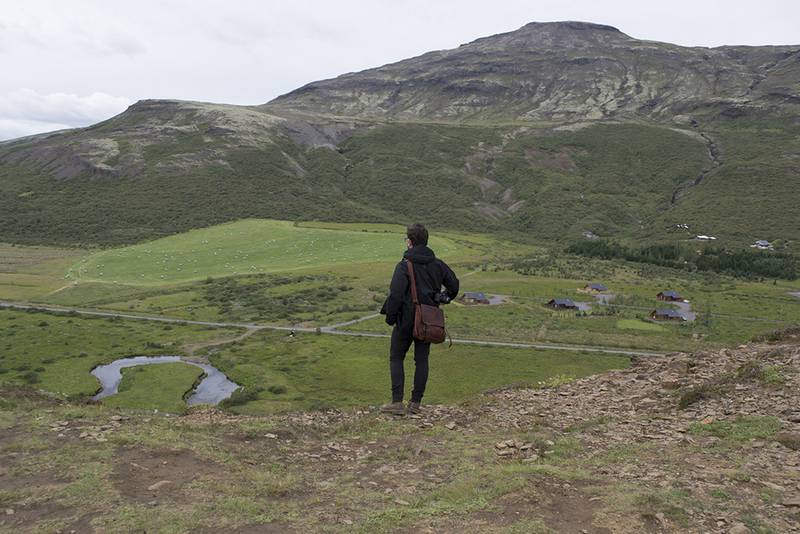 I would have to say though, that the most remarkable experiences I had while in Iceland weren’t visual, but auditory. The first experience that really struck me was the first iceberg we visited. The sight of it alone was memorable but what I will take away from that excursion is not how the glacier looked, but how it sounded. I wandered away from the group a bit, closer to where the ice became stream. There was a remarkable pyramid-like formation of ice that I wanted a better look at and as I got closer I saw that there was a little cavern in the ice. The glacier was melting, and this tiny piece (comparatively – this piece was about as big as a car and twice as tall) was no exception. I could hear from what seemed like all around me the sound of innumerable droplets splashing into the run-off streams. I closed my eyes and listened to nothing except for this sound and I was immediately struck by the imagery of being in some grand, terrestrial clock shop. The splash of every drop seemed to me to be the second hand of some ancient timepiece counting away another moment. Larger pieces of ice would occasionally hit the water like a chime signifying the hour. From a distance the glacier seemed peaceful; but this sound reminded me that if you stay still enough and pay enough attention, you can see a world constantly in flux. In stark contrast to this first experience was our trip to Pingvellir. I don’t want to downplay how breathtaking the chasm itself looked-- the huge, volcanic stone walls contrasted with a lush carpeting of green at the bottom was a truly amazing sight. However, what I found most beautiful about this site was the utter and absolute silence at the bottom. No cars, no machines, no humming electronics, not even the wind. It is the kind of silence that is almost impossible to find in the modern world. While the glacier reminded me of how the world is constantly in flux, Pingvellir seemed ancient and still – a prehistoric moment forever preserved in the cracks of the world. The sound of that great big nothing is a memory I will carry with me always.